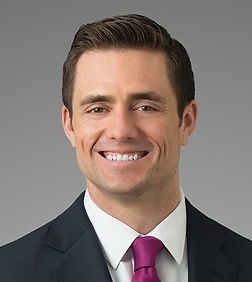 Jason C. Hoggan is an associate in the Government Contracts, Investigations and International Trade Practice Group in the firm's Dallas office. As a former federal law enforcement agent and an experienced litigator, Jason Hoggan understands what is at stake when individuals and corporations face government investigations, criminal indictments, or complex civil disputes. Using a strategic and detail-oriented approach, Jason seeks to resolve these high-stress problems and their collateral consequences in a practical and efficient way while minimizing their impact on the client’s business and reputation. Jason represents individuals, organizations, and corporations in all aspects of white collar defense and internal investigations, from discovery through sentencing, including factual and legal research and motion practice. He regularly works on matters involving healthcare fraud and securities enforcement, and has significant experience in matters arising under the Foreign Corrupt Practices Act and False Claims Act. He has also conducted significant corporate criminal investigations in a wide range of industries. He has represented multiple Fortune 500 companies, and routinely works in conjunction with the Department of Justice and the Securities and Exchange Commission. He also has experience with Foreign Corrupt Practices Act compliance and training. Before completing law school, Jason worked for six years in the U.S. Air Force Office of Special Investigations. As a special agent and Air Force officer, Jason conducted felony-level criminal investigations on individuals subject to the Uniform Code of Military Justice, directed investigations of suspected terrorists detained in Guantanamo Bay Prison, and managed counterintelligence collections affecting Air Force assets and personnel worldwide.